Ashby Museum was established in 1982 in a small cottage in Lower Church Street. In 1991 it relocated to its present home in North Street, where it shares the old National School building with the town Library and Tourist Information Centre. It is a Registered Charity and is run by a group of trustees supported by over 50 volunteer custodians. In 2008 it became a fully Accreditated Museum. It has won the Leicestershire Heritage Award for best temporary exhibitions in 1998, 2001 and 2003. 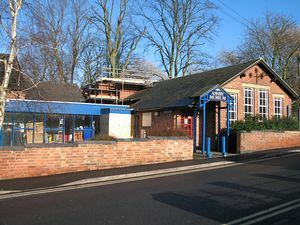 In 2007 and 2010 the Museum won the Leicestershire and Rutland Museum of the Year. It works closely with the county Museum Service and other independent museums, sharing expertise and artefacts. The Museum has a huge archive of local material, under topics such as Education, Health, Agriculture, Business and Industry, Military, Local Government, Recreation and the Arts. The museum is proud of its succesful links with local schools, family researchers and other interested individuals and groups. From the south-west, it is a mile from Junction 12 on the M42/A42; from the north-east the traveller leaves the same dual carriageway at Junction 11. From the south-east, the route is along the A511 from Junction 22 of the M1. The traveller can also reach Ashby along the A512 from Loughborough and the A511 from Burton-on-Trent. The Museum is situated in North Street and is housed in the same building as the town's Library and Tourist Information Centre.